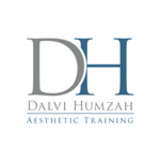 The award-winning Dalvi Humzah Aesthetic Training (DHAT) welcomes delegates to join its latest practical and interactive educational teaching session to enhance your clinical and practical skills. This year, consultant plastic, reconstructive and aesthetic surgeon and lead tutor Mr Dalvi Humzah will be joined by cosmetic and dermatology nurse practitioner and DHAT tutor Anna Baker. Together, the duo will drive your anatomy knowledge forward and describe their latest tips and techniques for successful and safe injectable treatments. PRGF – WHAT'S IT ALL ABOUT? The team will discuss the use of platlet-rich plasma for aesthetic rejuvenation, outlining clinical requirements such as infection control and complication management. Audience members are encouraged to share their experiences of using the treatment method. Trainers will discuss the relevant anatomy that is required for successful neck treatments, including dermal fillers, botulinum toxin and threads. They will explore how a multimodal treatment approach can produce effective results, showcasing this with a video demonstration. Exceptional anatomy knowledge is imperative for any aesthetic treatment. Trainers will explore facial anatomy considerations layer by layer, unveiling a brand new 3D virtual reality training suite launch. The trainers will outline various injection methods using needles and cannulas, detailing the safety elements and risk of each. They will also share advice on when and how to use hyaluronidase, explaining important considerations to be aware of. Being a successful teacher and presenter in this specialty can difficult, but is a skill that can be learnt. Such skills are an important part of work as a key opinion leader as well as those involved in providing training in Aesthetics. Drawing from elements of DHAT’s Training Aesthetic Trainers course, you can learn how to impress your colleagues and put forward an extremely powerful and memorable presentation, while communicating a message to an audience in a way that produces a desired change in their understanding or opinion. *Please note this session is for medically-qualified professionals only (doctors, nurses, dentists) and you will be required to provide a GMC, NMC, or GDC number in order to attend. By booking to attend this Elite Training Experience at ACE 2019 you will receive an exclusive 10% discount on a future full course booking delivered by Dalvi Humzah Aesthetic Training. To attend this event you will need to book for this session specifically. Booking is limited and on a first come first served basis.